NASHVILLE – The Tennessee Bureau of Investigation released a report today detailing the nature and volume of reported firearms-related crime across the state over a four-year period. From 2013 to 2016, firearm-related criminal offenses increased by 24.8%. The TBI embarked on this study, the first of its kind in Tennessee, to support efforts by the United States Department of Justice Bureau of Justice Statistics to develop a number of national statistical studies to better understand a variety of crimes, including those involving firearms. 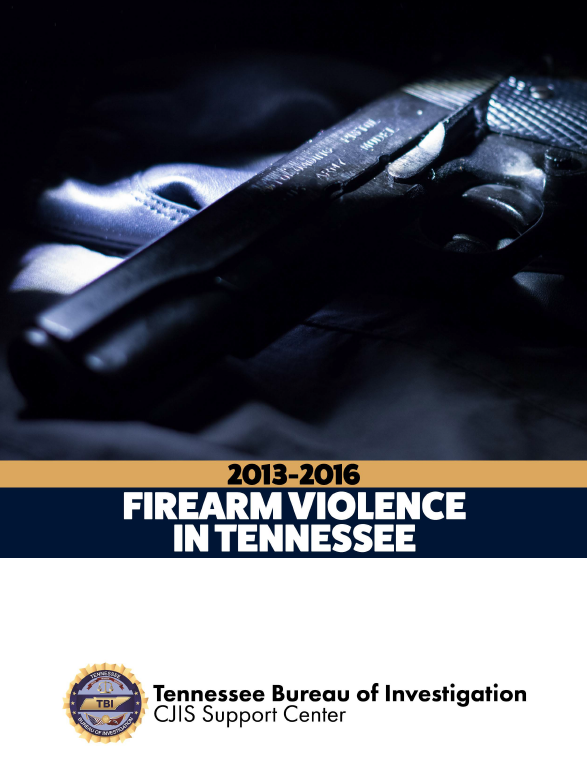 The full report can be reviewed on the TBI’s website: https://www.tn.gov/content/dam/tn/tbi/documents/tibrs/Firearm%20Report-2013-2016_Final.pdf.